Receive up to $1,000* off your final bill when you book your wedding reception for a 2019 Friday date. 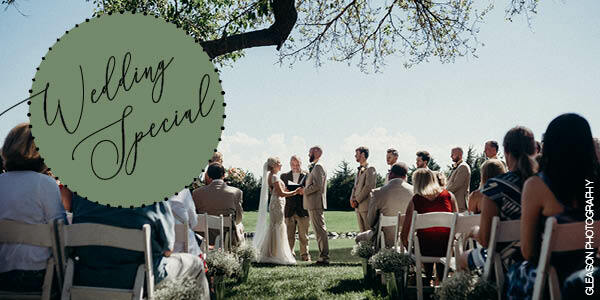 *Discount is based on final guest count, due 7 business days prior to the wedding. Limited time offer. Does not apply to weddings already booked. As Lincoln’s premier destination for weddings and special events, we look forward to helping you plan the wedding day of your dreams! For details and availability contact Isabel at 402.434.5121 or ireichel@wildernessridgegolf.com.